Peter Mulder is a media man at heart. 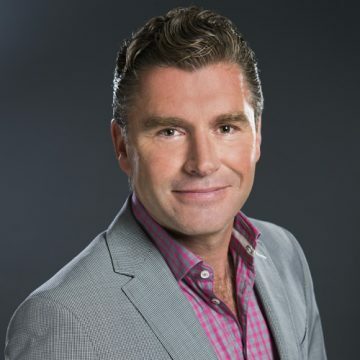 Since February 2013 he joined the Dutch TV company SBS Broadcasting as CCO. Here he is managing a team of 70 professionals, who are under his supervision responsible for the sales activities of the channels SBS 6, Net 5 and Veronica and the digital platforms. As boardmember he is co-responsible to guide the company into the challenging future. This is strongly pushed by product development, innovation and expanding corporation with existing and new business partners. Between 2007 and 2013 Mulder was the CCO of the 538Groep. This includes the number one radio station in the Netherlands: Radio 538 and the youth radio station SLAM!FM, but also 538TV, SLAM!TV, 18 digital stations, 538 Events and formerly Radio 10 Gold. In 1995, Peter began his career as an account manager at Radio 538. After leaving the company in 1997 to work for a broadcaster and regional radio station he returned in 2000 to Radio 538 as sales manager. He left the company in December 2006 to start his own business as an entrepreneur. At the end of 2007 he returned again to the 538 Group, this time to as the CCO. Peter is known for his sharp market vision, identifying opportunities and his inexhaustible talent to motivate people. He believes in people management and manages teams to make them better and stronger, which leads ultimately to the best results for the company. 3. Analysing and accomplish (commercial) goals. I love to motivate and inspire new talent, they are the future. Keeping me a clear perspective on fast development form idea/concept to execution.